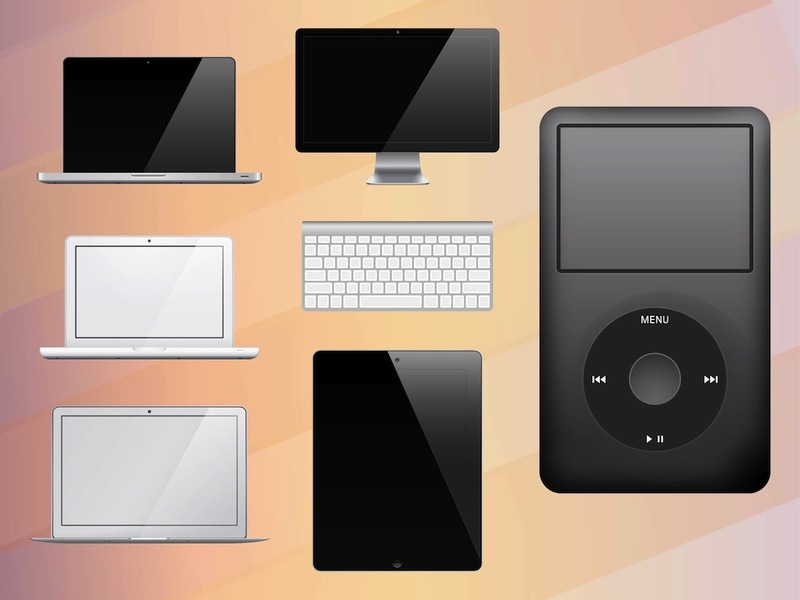 Vector image collection with realistic graphics of many Apple products. Different computer devices: MacBook, MacBook Pro, MacBook Air, iPod, iPad, Apple Cinema Display and wireless keyboard. Free vector images for computers, laptops, mobile devices, music player, technology and gadgets designs. Tags: Apple Vectors, Computers, Gadgets, Laptops, Mac, Mobile, Tablet, Technology.